Demon Hunter and Living Sacrifice FTW!! Last Wednesday night I went to hang out with my good buddy and bandmate Ethan. 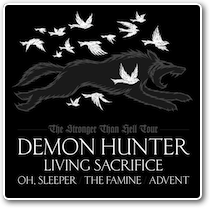 His other band Demon Hunter came to town as well as the rest of the bands on their “Stronger Than Hell” tour. As an added bonus my friend Alec from Nashville also happened to be there. He’s teching for DH, and boy, let me tell you, when he’s on stage checking those instruments and there are haunting metal melodies playing over the PA, he looks like about the toughest dude you’d never want to come across in a dark alley. But I get ahead of myself. Reese came down and we hung out for a bit. Since 3/5 of Guerilla Rodeo was there we thought we’d go ahead and take a trip down Memory Lane by listening to that three-song demo we did all those years ago. Mandy came a little later, and then it was time to enter the cavern of metal. We missed the first three bands, having really only come to see Living Sacrifice and Demon Hunter. Living Sac was awesome! Ethan had told me that even though they hadn’t toured in six years, on this tour they didn’t miss a beat. And right he was. My old band Ace Troubleshooter toured with LS back in the day (you tell me how that makes any sense! ), and each night I was consistently blown away by them. So getting to watch them play a lot of the same songs eight years later was like a stroll down Memory Blvd. They were incredible. After a short break Ethan and the boys descended on the stage in metal majesty and scared everybody witless. They were fantastic. 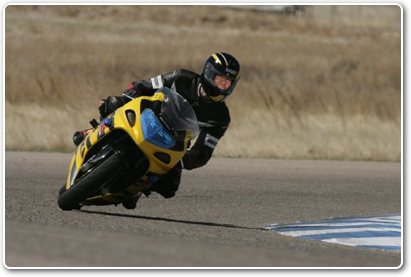 Ethan prepped me for the times he’d do a little shredding. Apparently it is the custom when said riffing occurs for metal fans to throw their right hands up in the air and wiggle their fingers as if to attract catfish from the banks of a hot, muddy Louisiana river. DH were tough, but they showed their softer sides as well with some heartfelt ballads about the wonders of love, I think. All in all, a fun night. Ok so really that’s my face PhotoShopped onto Justin’s body, but I’m sure I look just as awesome going 30 all shakily in my old t-shirt and shorts. For reals. Other than that I really haven’t been too busy. I recently finished designing a website for my dad’s ministry that will soon be up at wellrefreshed.com. Right now it just redirects to his old site which looks like Windows 95 got sick and threw up onto the internet (sorry Dad!). Also I made a wallpaper for our upcoming album “The Bird And The Bee Sides”. I followed a great tutorial from PSDTuts. In a few days I’ll be leaving town for Nashville where we’ll meet up to rehearse for Warped Tour. 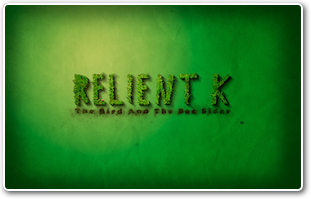 It’s been three years since Relient K has graced those stages, so taking in the sights, the sounds, and especially the smells will be like taking a trip down Memory Terrace.